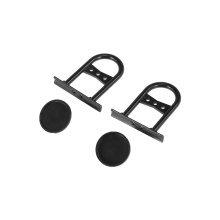 This Rear-view Mirror is specifically for 1:7 Traxxas udr Axial 90048 baja Quake Hammer RC car. Improve the authenticity of the remote control car. Made of high quality material, durable product. Improve the authenticity of the remote control car. It is flexible, great replacement for your 1/7 Traxxas udr Axial 90048 baja Quake Hammer RC car.